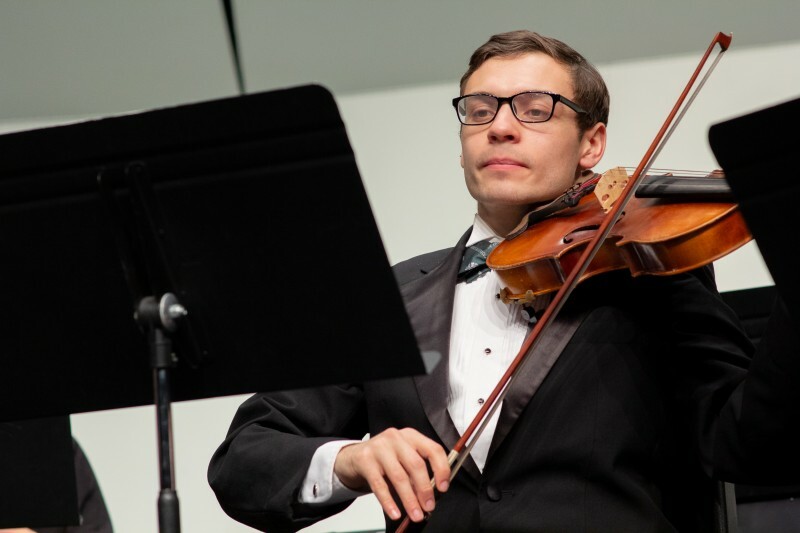 The Castleton Music Department offers numerous opportunities for students to participate in ensembles. These range from the traditional chorus and wind ensembles to marching band, jazz ensemble, and a student-run a cappella group. In addition, Castleton students have the opportunity to create, recruit, rehearse and perform their own special groups, and still earn credit for doing so. Recent student-initiated groups have performed extensively at university events and sporting events, in the lodges at Killington, and on department recitals and performances. Several of these groups have gone on to more widespread professional performance after graduation from Castleton. While all of the ensembles perform regularly for the Castleton campus, many also share their music in the local community and beyond. 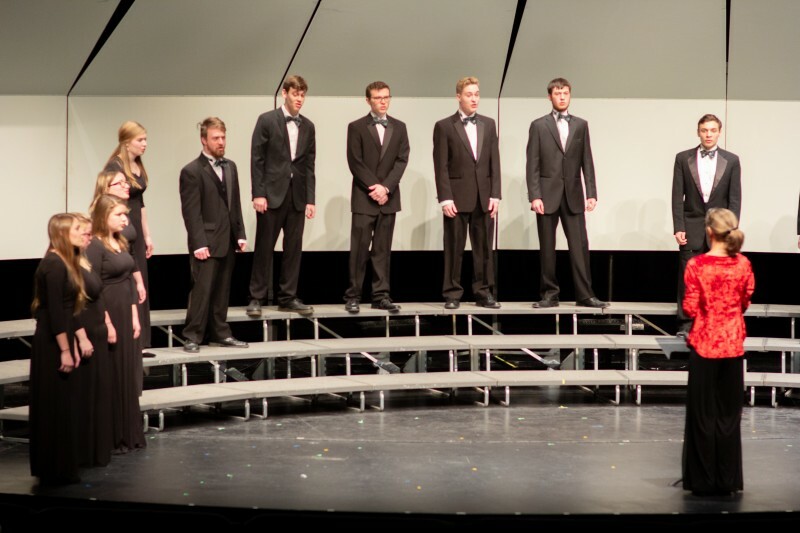 In addition to local performance, the Music Department takes an extended tour to venues in the U.S. and abroad at least once every four years. Recent tours have included performances in Chicago, Montreal, Italy, and Cuba. 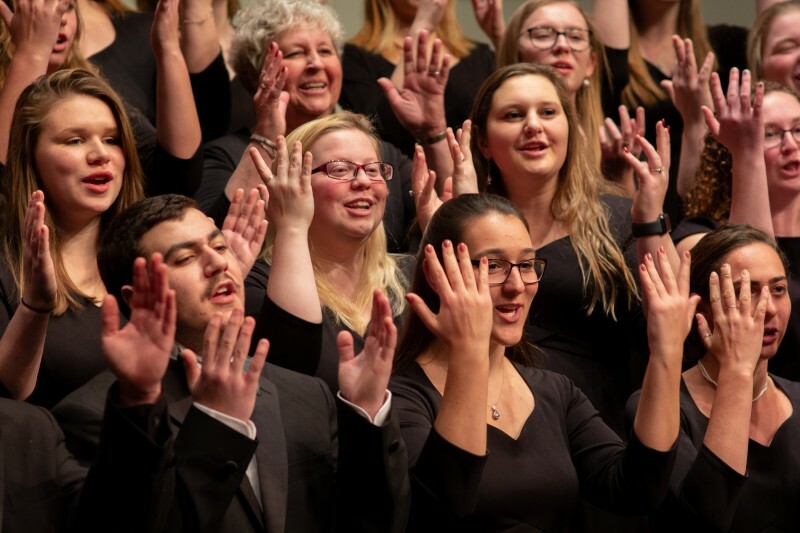 Description: One of Castleton’s oldest traditions, the University Chorale is comprised of music majors, minors, and non-majors, bringing a wealth of diversity and energy to the ensemble. Chorale activities include concerts each semester at Castleton, choir retreats, a regional tour in the spring, and an international tour every four years.The chorale performs a variety of repertoire from different eras and cultures and combines with professional instrumentalists to perform large-scale works such as the Fauré Requiem, Jose Vitier's Misa Cubana,and the Vivaldi Gloria. The Chorale has recently performed Italy and Cuba, and worked with noted artists including Tony Leach, Gwyneth Walker, and Robert DeCormier. The University Chorale is directed by Dr. Sherrill Blodget. 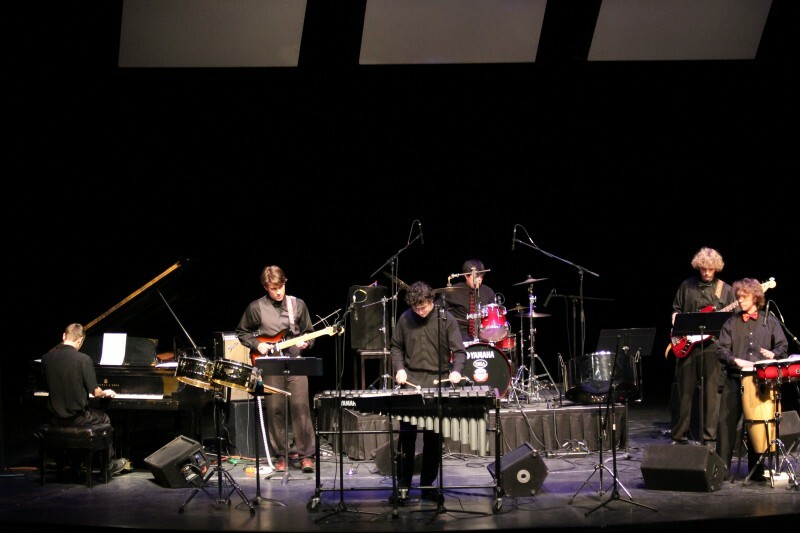 Description: The Castleton University Jazz Ensemble allows instrumentalists and vocalists to gain performance experience in all styles of jazz as well as offering the opportunity to develop improvisation skills. Recent performances have included works from The Buddy Rich Orchestra, The Glenn Miller Orchestra, Charlie Mingus, and other jazz standards. The Jazz Ensemble is under the direction of Anne Severy. 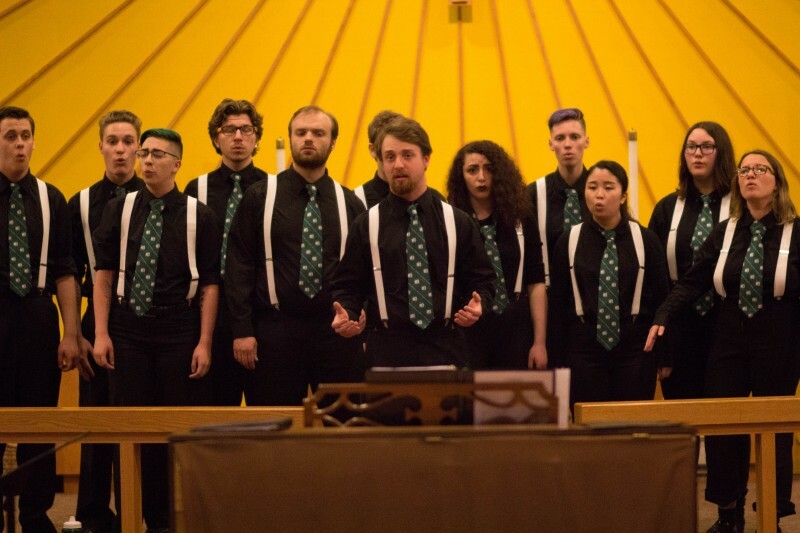 Description: Vocal Unrest is the student led a cappella group group at Castleton. VU performs at multiple events both on and off campus. In fall 2006 they performed on the Castleton stage with the legendary Persuasions. Auditions, open to students regardless of major, are held every semester. Contact the Castleton Music Department for detailed audition dates. Description: The Castleton Chamber Singers is a select ensemble dedicated to preparing high-quality repertoire suitable for chamber choir. The Chamber Singers perform a variety of works from Renaissance motets and madrigals, to contemporary choral literature. Performances include concerts and tours with the University Chorale, special events, and off-campus venues. Membership is open to University Chorale members by audition in the fall and spring. Castleton Chamber Singers are directed by Dr. Sherrill Blodget. 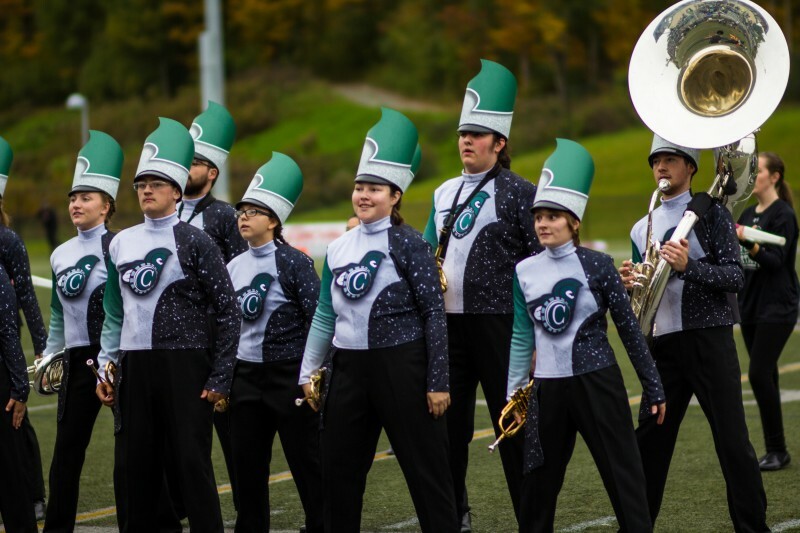 Description: Castleton Spartan Athletic Bands is a one-of-a-kind experience in Vermont. We perform at athletic events, community celebrations, and area parades. Members of our program come from diverse performing backgrounds. We cater to members with all kinds of experience from those who were section leaders in their high school program to students who have never played an instrument before. 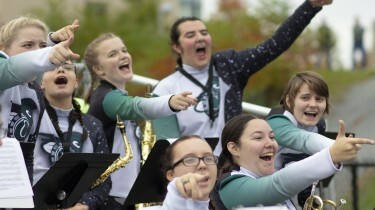 In fact, 40 percent of our ensemble has never participated in marching band before Castleton. 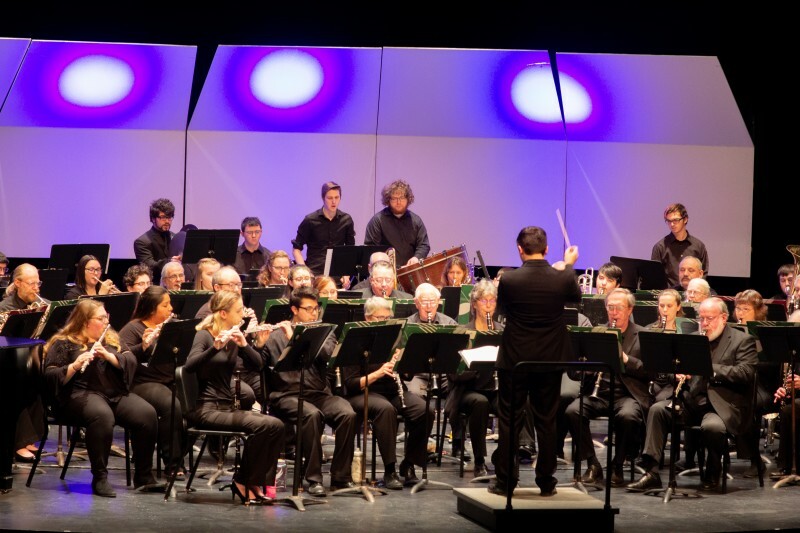 Description: The Castleton University Wind Ensemble performs concert literature for woodwinds, brass, and percussion from all eras of music. Recent performances have included works by Percy Grainger, Kurt Weill, Gustav Holst and Charles Ives. Enrollment is open to all Castleton students; non-music majors are encouraged to participate. The Wind Ensemble is under the direction of Joshua Thompson. Description: The String Ensemble is our newest addition to Castleton's music program. Perform pieces from a wide variety of composers from the classics to contemporary. This ensemble is designed to work with string musicians of all abilities and enrollment is open to all majors at Castleton. Castleton Spartan Athletic Bands is a one-of-a-kind experience in Vermont. We perform at athletic events, community celebrations, and area parades. Members of our program come from diverse performing backgrounds.